Finding the time to exercise can be challenging for modern-day working professionals in Singapore. Aside from having career responsibilities, they also have to manage relationships with family, friends, and their special partners. Additionally, balancing between getting enough rest and hobbies while having a social life can cause even more stress. Nevertheless, it’s important to have a healthy lifestyle which is why having alternatives to exercise will help in maintaining your health. 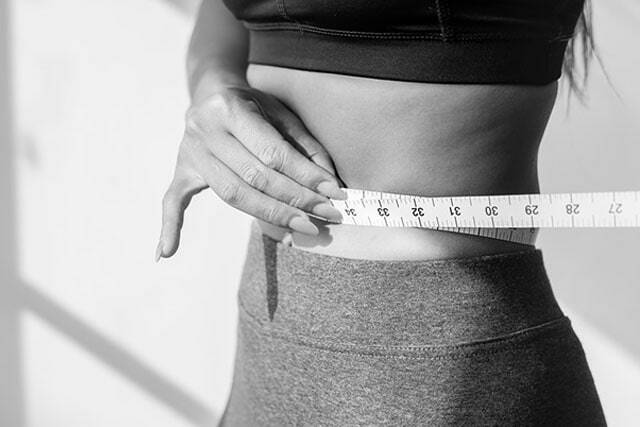 In this article, we’ll share three great and useful tips you can follow if you want to know how to lose weight fast without exercising. One of the important element in maintaining a healthy lifestyle is ensuring that you get seven to eight hours of undisturbed, deep sleep. There are various cycles of sleep that we undergo during the night time. One of these cycles is REM sleep when your mind is repaired, and neurotransmitters are replenished to help you be in a good mood during the day. The other cycle is called Deep Sleep. This sleep cycle is integral to the body’s repair system. As you get into deep sleep, the body gathers energy, assist in growth, repairs your tissues and muscles, and also boosts your immune system. These processes are important in losing weight as not getting enough deep sleep hinders the body’s ability to burn and lose fat. Therefore, be sure to get uninterrupted deep sleep as often as you can. Stress is an inevitability that all of us face and is one of the factors that contribute to weight gain. The good news, however, is that there is a myriad of ways we can manage stress, and it’s all dependent on our preferences. Some people indulge in their hobbies, engage in physically strenuous activities, and also find ways to have an adrenaline rush. For example, some people might choose to do yoga as a form of light exercise and stress-relief, while others go trekking or mountain-biking to chase the thrill that the outdoors bring. In addition, you may also consider wearing shapewear, such as girdles, body shapers, and waist trainers to tone your body further and complement any activities that help your stress-relief efforts. As Singaporeans, one of our favourite pastimes is eating. We enjoy indulging in the various cuisines of different cultures in the melting pot that is our country. It’s not surprising to find people of various ages going on gastronomic adventures and knowing where to find the best dishes. As a result of this pastime, we sometimes gain weight especially if our lifestyle doesn’t involve exercise. This is where we can use our passion for eating to lose weight also. Eggs – loaded with vitamins and minerals, eggs are also full of healthy fats and antioxidants. Egg whites are also a concentrated source of protein. Nuts – almonds, cashews, and pistachios contain a relatively high amount of protein. Chicken – chicken, or chicken breast specifically, is a protein-rich food that is easy to cook and made into a variety of dishes. Oats – a grain that is rich in fibre, manganese, and Vitamin B1. Fish – fishes like tuna contains omega three fats and multiple nutrients, and also protein.